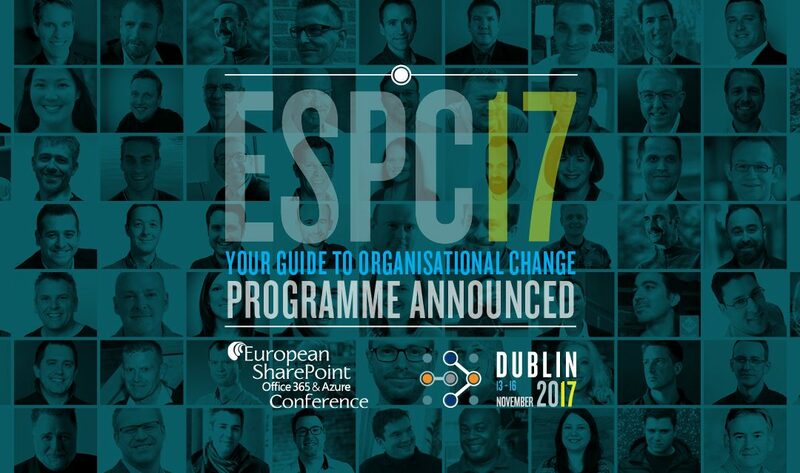 Wes Hackett, AddIn365 CTO, has been selected to speak at the European SharePoint Conference (ESPC) on Microsoft Teams extensibility. Microsoft Teams are the future of Office 365 collaboration. Alongside rich out of the box functionality, Microsoft are providing the developer community with exciting new ways of exposing data, content and functionality from SharePoint and Office 365 in to the Microsoft Teams framework. In this session we’ll explore the different ways you can extend your Microsoft Teams experience. Wes will demonstrate and walk-through how connectors allow your team to receive notifications and updates from other services, how Bots surface and allow you to engage via chat and finally how Tabs directly surface your web experience in the right context to support the team. Each year ESPC gathers SharePoint, Office 365 and Azure experts from around the world in one European location for the largest conference of its kind. This year the 4 day event will be held in Dublin. The conference programme features established experts organised across three tracks: Developers, IT Pros, and Business. To find out more, or book your ticket, take a look at the ESPC website here.